← It’s all the rage in Milan! At the risk of being a January-cliché, I’m just going to say it anyway, I’m ready for a fresh start complete with new gym membership and chocolate boycott! This new habit calls for some new workout-wardrobe items to wear. From searching online and through sports stores, I found extensive Sports clothing lines from all the major brands including Adidas and Nike. My first impression is too much lycra (and not enough left to the imagination!) All well and good for a figure like work-out Barbie’s, but for me, it’s all about comfort and practicality. Only Barbie can get away with donning this head-to-toe lycra 'onsie' at the gym! Choosing comfort doesn’t mean all sense of style is left in the locker with my bag and mobile. There are plenty of options available which make great for perfect workout clobber. My favourites are comfy leggings and a long loose tee or t-shirt-dress and I never forget the essential hair accessories to keep the locks at bay. 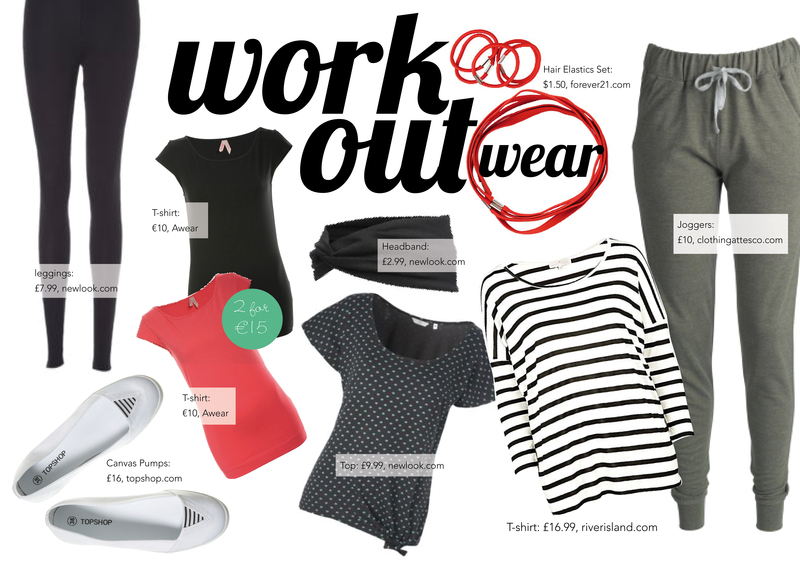 Here are some really cute pieces for the gym kit in the stores at the moment. This entry was posted in Top from the shops and tagged awear, barbie, comfortable, forever 21, gym, hairbands, january, leggings, newlook, river island, shoes, sports fashion, t-shirts, tesco, work-out. Bookmark the permalink.